A1 Call Center is a well known name in BPO Industry and has got a reputation for delivering top-notch customer support services and back office services. We give special focus on our agent hiring and agent training programs as we believe that they play the most important part in all the services that we provide. Apart from having best agents, we are also proud of our global delivery center from where all our services are delivered. Our agents work in this state of the art delivery center where they are provided latest technologies and all the modern equipments required for their job. Our back office support services are focused on completing all those requirements of our clients that include paper work or any back office task. These tasks are completed by our expert agents who have been properly trained for the job. These agents also have huge experience of delivering back office support services. 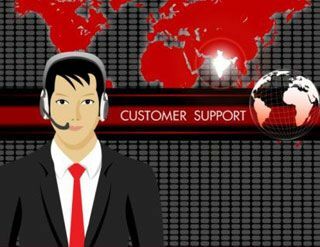 Our customer support services are focused on providing full customer support to our clients and handle all the incoming and outgoing communication on their behalf. We can provide them with most effective support services and solve all the queries of their customers. Agents are made to go through extensive training programs which make them perfect for handling international calls and providing assistance to the customers. Our expertise and domain knowledge make us the best choice among global organizations for back office and customer support services. Posted in Customer Services and tagged Back Office Services, customer support services.